[We are discussing the mechanism by which the oaths are binding on all generations. The Rebbe explained that they took effect at the Giving of the Torah, when all future souls were present. However, this does not answer how the non-Jewish nations’ oath took effect. The Avnei Nezer answered that the oath was administered to the root souls of Jews and to the guardian angel of each nation. Regarding the Avnei Nezer’s answer that the oaths were administered to the guardian angels and to the roots of the Jewish souls in heaven, it would seem that such an oath would not be halachically valid. The Akeidas Yitzchok on Parshas Nitzavim, Shaar 99, asks: Chazal treat the oath of the acceptance of the Torah as a real oath like any other. Thus they say, for example, that if one swears not to eat non-kosher food and then eats it, he need not offer a sacrifice to atone for his oath, because his oath was superfluous – he already swore at the Giving of the Torah (Yoma 73b). But why should the children be affected by an oath their fathers took? The prophet Yechezkel (18:2) says, “Why do you say this expression about the Land of Israel: the fathers ate unripe fruit and the teeth of the children will be blunted”? The Jews of Yechezkel’s time were saying: We’ve got time, we don’t have to worry about the destruction of the Temple, because we see that the Northern Kingdom of Israel sinned for hundreds of years before something finally happened to their children. That’s Hashem’s way: He punishes the children for what the fathers do. Hashem replied (v. 4), “No, only the soul that sins will die.” And the Akeidah is not satisfied with the answer that all future Jewish souls were present at the Giving of the Torah, because, he argues, the mitzvos are obligations on the body, and the body would prefer to be free. The rule is that you cannot act on someone’s behalf to his detriment when he has not authorized you to act. So the body, not just the soul, would have had to be present to accept the Torah. 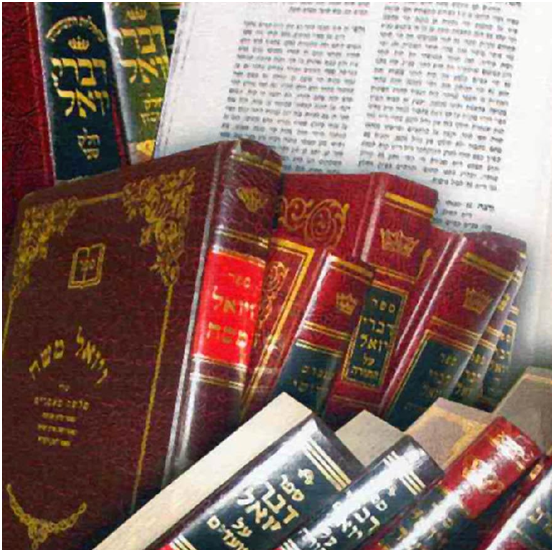 The Talmud says (Kesubos 11a) that beis din can convert a young child to Judaism, but when he reaches the age of 13 he can nullify the conversion by saying it was something he did not want, and that beis din had no standing to do it on his behalf when he was too young to know better. There at least the convert’s body was in existence, yet since he was a minor it was ineffective; all the more so in our case where the bodies of future generations of Jews were not present at all when the Torah was given. Furthermore, he argues, the obligation to keep mitzvos can only be accepted by a person who consists of a union of body and soul. That is why when someone dies and his soul leaves his body, there is no longer any obligation to keep mitzvos. The Akeidah continues at length and concludes that in fact the oath of the Giving of the Torah was not a real oath, and our obligation to keep the Torah is because Hashem’s protection of us is conditional on our keeping it. He explains this with an analogy to a person who, due to his many qualities, aroused the jealousy and hatred of powerful and violent people. He could find no rest until, finally, he found refuge in the king’s palace courtyard. The king promised him that if he would agree to his covenant and follow his ways, the king would protect him and no harm would befall him; he would only continue to succeed more and more. And so it was as long as he kept the king’s covenant. But after a long time, when he broke the rules and severed his covenant and connection with the king, the enemies attacked him. Now, we cannot say that the king punished him; the king did nothing but remove his protection, and the attacks came from the enemies, who can, G-d forbid, destroy him completely. Similarly, if the Jews, G-d forbid, violate the covenant of the Torah, Hashem’s protection is removed and, G-d forbid, the enemies do whatever they do. The Akeidah goes on for several pages explaining this. The holy Shelah, in his Asarah Maamaros, Maamar 2, pages 43-44, quotes the Akeidah and then concludes, “In summary, it is not because of an oath that Jews in all generation have to keep the Torah, but rather in order to survive. This is more severe than an oath, because the Jewish people know well that if they were to leave Hashem’s hand and protection, they would be vulnerable to genocide. Whoever separates himself from Hashem is cutting himself off from life. Accordingly, the Akeidah’s opinion is that not only the Three Oaths, but even the oath of the Torah is not binding upon the descendants of those who accepted it, and nevertheless, since it is more severe than an oath, Chazal use the word “oath” to describe it. The word “oath” is only figurative. On this the Shelah comments: “The Akeidah’s words are truly sweet and ‘the words of a wise man’s mouth are graceful’ (Koheles 10:12), but Chazal’s words clearly demonstrate that this oath was a real oath. For example, the Gemara says (Shavuos 29a) that one taking an oath can play a trick and have in mind an interpretation of the words different from their usual meaning. Accordingly, when the Jews swore to keep the Torah, there was a danger that they might swear “to fulfill the words of G-d” but having in mind an idol, which is also called a god. To avoid this, Moshe said to the Jewish people, “I am imposing this oath on you not as you understand, but as Hashem and I understand it.” This proves that it was a real oath, for if we would say as the Akeidah says, that it was a condition for Hashem’s protection, how could such a trick work? Misinterpreting the condition would be no excuse, since after all they did not fulfill the condition. Furthermore, the Akeidah says that the future generations’ punishment for not keeping their ancestors’ covenant is merely that Hashem will remove His promise from them, i.e. remove His protection. If so, asks the Shelah, why are there different punishments for different sins, such as lashes, death and Gehinom? So we must say that the original connection between Hashem and the Jewish people is intact with all its details forever. Regarding the Akeidah’s question as to how we could be bound by an oath taken by our ancestors, and his contention that the souls’ presence at Sinai does not help since the bodies were not there, the Shelah replies that that indeed the central core of the bodies of future Jews were also there. See there, where he writes at length to explain the mechanics of this. Now, I don’t understand why the Shelah had to prove that the oath of the Torah was a real oath from the fact that Moshe warned the people that he was imposing the oath as he understood it. He could have brought a more obvious proof from the law that an oath not to commit a sin is meaningless because of the rule that an oath does not take effect on top of a pre-existing oath. Perhaps he held that in that case, even if the Torah oath was not an oath, since it has the severity of an oath another oath cannot take effect. But the fact that he had to specify that the oath was as he understood it shows that if not for that specification, they would have been able to escape culpability. This proves that it is a real oath.